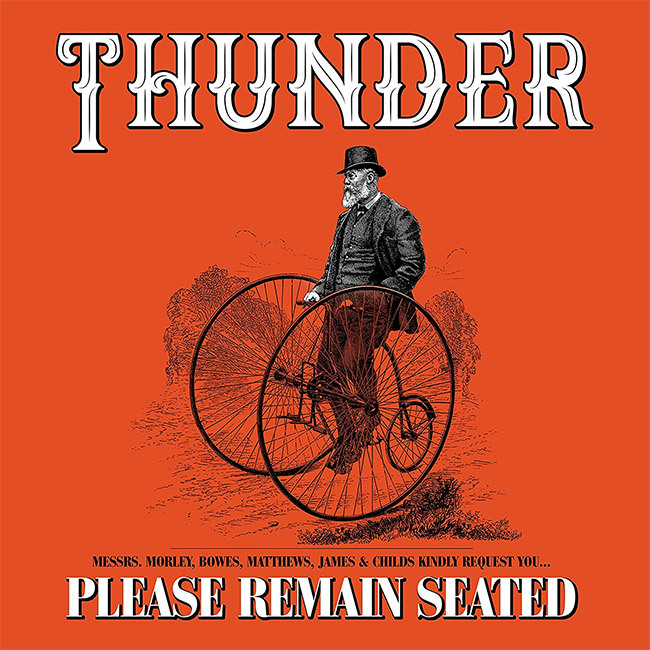 European hair metalheads Thunder will release Please Remain Seated on January 18th via BMG, the group’s new label. The album is a re-imagined re-recorded 12 track greatest hits album. The album will be available on CD, 2 CD Deluxe Edition with seven track bonus disc and vinyl variations. A 12 track Orange Splatter Double 140-g vinyl edition will be available via Thunder’s online store and limited to one thousand copies. HMV and other record shops will offer a limited edition orange vinyl version of the album for sale. This version is exclusive to retailers, and not available on our online store. UK fans who pre-order via HMV can also be entered to win tickets to an exclusive acoustic performance with meet and greet at stores throughout Europe. In addition the album, the group has announced The Please Remain Seated UK Tour kicking off in February with a solo acoustic performance by Dan Reed as their special guest. VIP packages and tickets are available via Thunder’s website.